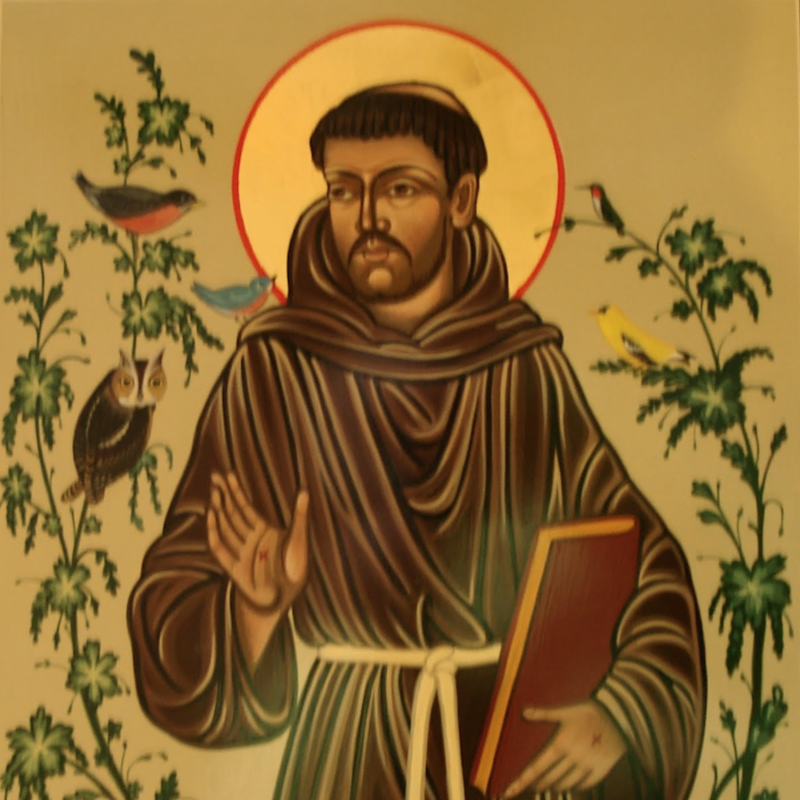 In this week’s edition of our weekly Wednesday newsletter, Scott reflects on St. Francis, writing that it’s not wrong to associate him with animals–but it’s missing the main point. Today the church celebrates the Feast of St. Francis of Assisi. We often think of him as the “animal saint” who is depicted with cute birds and such. He is often associated with animal blessing services this time of year. To associate Francis with animals is not wrong, but it misses the main point of his life. Francis was born into a family of means. Over time, he gradually came to reject financial wealth and to embrace poverty. Once, while praying before an image of Christ Crucified, he heard a voice tell him, “Francis, Francis, go and repair My house which, as you can see, is falling into ruins.” Though he first believed it was a command to repair that particular church building, he eventually realized it was a call to restore the church to its Gospel call. To put it bluntly: Francis was a radical. He wanted the church – a place of wealth – to be concerned primarily with the poor and marginalized. Francis had a vision of Christlike living, and he didn’t stop with words. Though he was a lay person, he preached boldly and constantly, calling people to become committed disciples of Jesus Christ. To follow Jesus meant not following the way of material goods. Francis was a person who practiced what he preached. That is, he practiced and he preached. I wonder what Francis would say if he showed up today. Looking at the challenges of our time – economic disparity, war and violence, racism, consumerism, fear – would he challenge the church to respond differently? Would his vision of a beautiful creation that praises God challenge us to respond more fully to climate change and environmental degradation? Today, I encourage us all to look at our beloved church. Are we as a church fully committed to following Jesus? Do we favor things over people? Are we willing to practice what we preach? Do we need to repair our churches, not our buildings but the identity of our communities? St. Francis, pray for us. We need it. The world needs it. For the Beauty of the Earth, Kathrin Burleson’s beautiful new book of Creation-themed daily devotions, launches today!